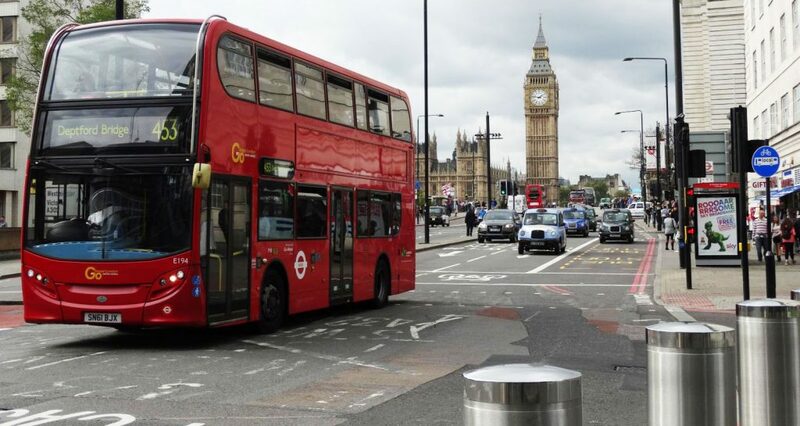 In recent years Greener Journeys has built up an extensive suite of evidence on the considerable economic value that bus services provide to their communities and the UK as a whole. But policy cannot be about economic value alone. Policy must deliver on a range of social factors as well. Does it reduce inequality, and support deprived communities? Does it impact positively on healthcare, education and access to a range of public services? Does it improve people’s life chances? It has been widely understood that for too long we have had insufficient evidence of the vital interconnections between the economic and the social. In particular we have been missing a true quantification of the wider social impacts of bus services. Now for the first time we are able to put a figure on some of these crucial social impacts. Our new report, The Value of the Bus to Society, by KPMG and the Institute for Transport Studies at the University of Leeds, quantifies the impact of bus services in reducing social deprivation. The findings are stark. A 10% improvement in bus service connectivity would result in a 3.6% reduction in social deprivation, taking into account employment, income, life expectancy and skills. This reduction in deprivation applies to all neighbourhoods from the most deprived to the least deprived. But for the most deprived neighbourhoods the impact of a 10% improvement in bus service connectivity is particularly strong. It would result in 9,909 more people in work; 22,647 people increased income; 2,596 fewer years of life lost; 7,313 more people with adult skills and a 0.7% increase in post-16 education. This new evidence comes at a time when the new Government is looking to improve the life chances of everyone. Tackling social deprivation has become a more urgent priority. It also comes at a time when bus services are under pressure like never before. Recent statistics by the Department for Transport show that bus use has fallen across England, with even London recording its first drop since 2012. The statistics show that passengers made 119 million fewer journeys in 2015-16 than the year before, a fall of 2.6%. One factor behind the drop in bus patronage is the fall in the number of services supported by local authorities. Research by the Campaign for Better Transport has found subsidies for bus routes have been reduced by £78 million since 2010. Cuts to bus services in rural areas have been particularly severe. Another factor contributing to the current decline in bus use is growing congestion on our roads. Recent research for Greener Journeys shows that bus journey times are increasing by on average 10% per decade, which is resulting in 10%-14% fall in patronage, with serious consequences for the wider economy. For every year that this trend continues, it is costing an estimated 5,000 jobs. As the predominant mode of public transport, buses are central to providing essential access for millions of passengers. Nearly 1 in 4 people in the UK is at risk of social exclusion and 1 in 4 households lacks access to a car. Department for Transport analysis shows that where bus services are withdrawn, some passengers are unable to make alternative transport arrangements. For 1 in 5 bus journeys a practical alternative does not exist. For some this may mean not taking a job, not taking advantage of educational opportunities, not taking care of health needs or simply not seeing friends and family. As part of the research project KPMG estimated that wider social impacts of buses add over 30% to the benefit-cost ratio of bus investments. When appraising transport schemes and investment cases, Greener Journeys is recommending that decision makers should factor in the wider social benefits that can be delivered. The Department for Transport may wish to review its approach to Social Impact Assessments, perhaps introducing a short template SIA to be considered in all major transport and policy investment decisions. Above all we need urgently to reverse the current decline in bus patronage. Government at all levels should prioritise investment in buses and bus infrastructure. Such investment results in well-understood transport and economic benefits, and as this new research clearly demonstrates there can be immense social, health, educational and income benefits as well. The Brexit vote represented a powerful vote against the status quo. It put a spotlight on the persistent health, wealth and income inequality afflicting the UK. Theresa May has said that she wants Britain to be a country that works for everyone. These words need to be backed up by a concrete strategy for delivering inclusive and sustainable growth. This new research shows that if the Government is serious about reducing inequality, the bus is a very good place to start.